Nimble. Quick. Agile. 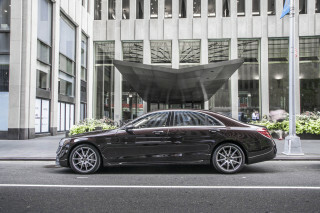 These are not words that ordinarily describe a large German sedan, but they fit the profile of the 2000 Audi A8. It’s been three years since VW’s social-climbing brand (well, at the time — now the automaker owns Lamborghini, Bugatti, and Bentley) introduced the A8 in North America. Each year it has seen subtle refinements, the way a chef melds the ingredients of his signature dish night after night to create a meal that is both adoringly familiar yet refreshingly new. For 2000, the A8 features a new 4.2-liter V-8 engine and an updated exterior design. 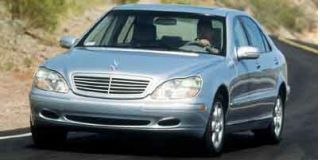 The result is a package that makes it a strong competitor among other more established makes, such as the BMW 7-Series or the Mercedes S-Class. 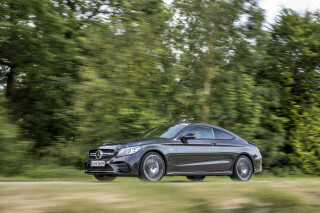 The new model-year brings a revised exterior design with changes primarily in the front and rear. Both bumpers have been reshaped and now feature additional aluminum strips. 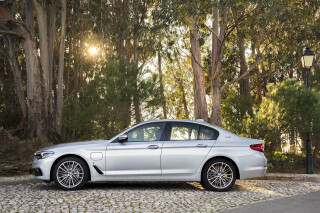 The front end, in particular, has received the most prominent changes, with refinements to the radiator grille, larger headlights and a chrome frame in the front spoiler air inlet. The projector beam fog lights have been relocated to the front spoiler and now provide greater illumination in situations where there is poor visibility. From the side, both the door handles and side mirrors have been revised to enhance the sleek profile. The elegant look is continued inside, where new materials and color combinations are offered. Leather is now standard and available in six colors, while two wood inlays are offered as accents. Matching colors are used throughout the interior, on the dashboard, seat belts and even air outlets, as well as on the seats and steering wheel. The optional premium leather package offers the ultimate in luxury, with leather added to the door panels, center console and knee bolsters and Alcantara suede used on the headliner and door panel inserts. Interior improvements include a redesigned center console with controls that are easier to operate. Other improvements include a restyled instrument panel, which now features a digital clock with date and a color information display that provides details on average miles per gallon, system malfunction notification and visual cues for the optional navigation system. 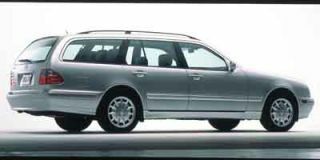 The most significant change for 2000 is the A8’s 4.2-liter light alloy V-8 engine, which is designed to provide more power and better gas mileage. The enhanced five-valve cylinder head uses roller cam followers to operate the valves, while a variable camshaft system, a three-stage variable-length intake manifold, and a new digital engine management system work together to increase torque and create a smoother running engine. 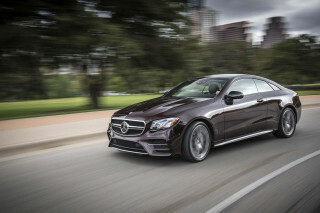 For the driver, this technology translates to impressive performance. The revised engine offers 10 additional horsepower (bringing the total to 310 hp) and seven additional pound-feet of torque. Audi says the A8 now zips to 60 mph in just 6.7 seconds and hits a limited top speed of 130 mph. The three-stage manifold boosts the torque curve throughout the engine’s range, giving the A8 powerful acceleration at virtually any speed. The five-speed automatic transmission with Tiptronic allows the driver to manually change gears or simply let them be chosen automatically from more than 200 shift programs based on the current road conditions and driving style. 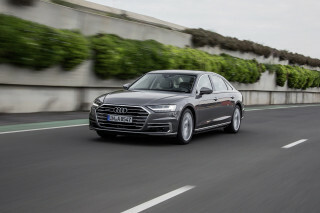 Engine performance isn’t the only factor that makes the Audi A8 terrific to drive. Built with the Audi Space Frame, an aluminum space frame body created in partnership with Alcoa, the A8 is the only vehicle in the premium luxury class to earn the dual five-star safety rating for both driver and front-seat passenger under NHTSA’s New Car Assessment Program. Past A8 models have been known for their four-link front suspension, which greatly reduced front-wheel drive feedback, and for the all-wheel-drive quattro system. 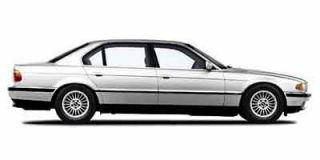 For 2000, handling has been further improved with the addition of aluminum running gear. The use of aluminum has several benefits, including nearly eliminating the unpleasant "shake" during certain points in acceleration. 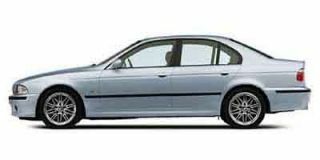 The extensive use of aluminum in items such as the front and rear suspension links, brake calipers, wheels and wheel carriers provides a significant weight reduction, making the entire package feel very nimble when driving on a twisting, mountain road. The advanced trapezoidal-link rear suspension, quattro permanent all-wheel-drive system, and ABS with electronic braking-pressure distribution are all standard features on the A8 that help to ensure top-notch handling on corners as well as in a straight line. 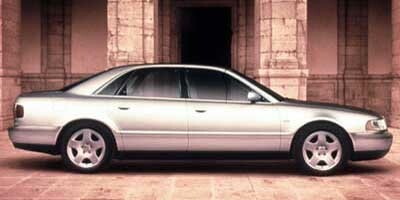 Optional on the A8 will be the Electronic Stability Program (ESP) when it is introduced later in the 2000 model-year. Using sensors and computing functions, ESP will assess such variables as wheel speed, yaw rate, lateral acceleration and steering-wheel angle to determine what the vehicle is doing and respond more quickly and reliably than the human driver in the same situation. Despite the agile, light-on-its-feet driving experience, the A8 transports its driver and passengers in luxurious comfort. Both driver and front passenger have 14-way adjustable power seats with separate, height-adjustable armrests, while the dual-zone climate control uses two sunlight sensors to adjust the temperature. A rest function automatically circulates the residual heat of the vehicle to keep the interior warm while the car is parked during cold weather. The Bose "Symphony" audio system was designed specifically for the interior space of the A8 and offers concert-hall quality sound through eight speakers. 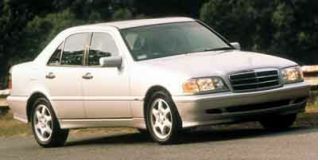 A six-disc CD changer is mounted in the trunk while a single CD slot is located in the dash. In all, the A8 is an exciting combination of spirited performance and agile handling in an elegant package.